Learn how to pronounce the English letter J. Learn how to pronounce the English letter K.
Learn how to pronounce the English letter L.
In English, many letters have more than one sound, and many can be silent. Click a letter to learn about all of its sounds and to hear sample words. Learn how to pronounce the English letter M.
Learn how to pronounce the English letter N.
Learn how to pronounce the English letter O. Learn how to pronounce the English letter P.
Here is a table of English consonant sounds and their IPA symbols. This table shows English vowel sounds with their International Phonetic Alphabet symbols. 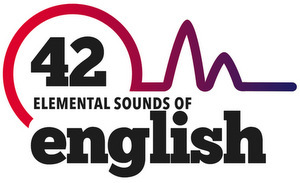 Improve your English pronunciation with a comprehensive course on the 42 Elemental Sounds of English. Learn how to pronounce the English letter Q. Learn how to pronounce the English letter R.
Learn how to pronounce the English letter S.